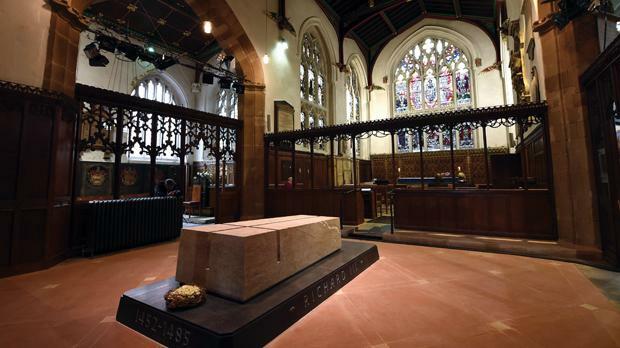 The completed stone tomb of Richard III is to go on public display 530 years after his death in battle. A special service was held to mark the end of the king’s long journey from his forgotten grave under a council car park to a place of honour in Leicester Cathedral. Afterwards, the king's 2.3-tonne tombstone, with its Christian cross carved on the top, was lifted carefully into place, sealing his remains beneath. Saturday evening is the most dangerous time to be at home with four accidents taking place in the UK every second, a study has found. Accidents ranging from serious electric shocks and burns to gas leaks and fires peaks at 6.30pm on a Saturday, the survey for Electrical Safety First found. The charity said the findings suggested that people were more prone to risky behaviour during the weekend because they were busier or more absent-minded and had potentially “had a few drinks”. A self-published travelogue called Strangers Have The Best Candy has won the award for the oddest book title of the year after it was nominated by its own author. Margaret Meps Schulte triumphed in a public vote ahead of writers of tomes including Divorcing A Real Witch: For Pagans And The People Who Used To Love Them, Nature’s Nether Regions and Advanced Pavement Research. Her book is based on a series of conversations she had with strangers while travelling through America. Tunisian officials have sought to calm fears that sets from the Star Wars films are under threat from Islamic State militants. CNN recently suggested that the sets were vulnerable after arrests and the discovery of weapons caches near the town of Tatouine, which lent its name to Luke Skywalker’s home planet. The story was picked up widely even though the main Star Wars sets are on the other side of the country near the western city of Tozeur. Mohammed Sayem, of Tozeur’s tourism commission, said the reports were “without foundation”. Colonel Mokhtar Hammami of the National Guard said he had 1,500 men patrolling the area. A sea otter which became an ambassador for her species after a remarkable recovery from an oil tar soaking off the coast of northern California has been killed by a shark. “Olive the Oiled Otter” made headlines in 2009 when she was found covered in oil and near death on Santa Cruz beach. She recovered fully and delivered a healthy pup years later. The California Department of Fish and Wildlife said Olive was found dead by a beachgoer and wildlife biologists found wounds consistent with a shark bite on the seven-year-old’s body. Officials said Olive’s wounds showed no signs of healing, indicating that she died quickly after the fatal bite. She had more than 5,000 Facebook followers, in an account set up by wildlife officials, and hundreds of followers expressed sadness after reading about her death. Seattle police got their goats, corralling a group of 10 that had managed to get loose from a yard in the city’s Beacon Hill neighbourhood. On their website, police said officers responded to a report that the loose goats were chasing a group of children. After a brief chase of their own, police managed to herd the goats back into a pen. Animal control officers were called to contact the goats’ owner.